They left this poor sweet baby to die. But a furry little guardian angel had other plans! 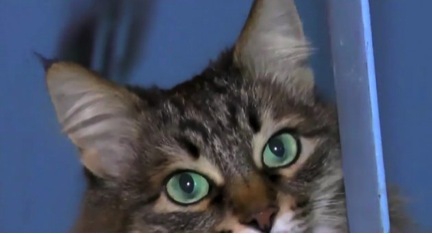 Everyone is calling this loving long-haired tabby cat a hero. And when you hear what Masha did, you’ll know that God sent this furry friend to be a guardian angel and save a baby’s life! After finding an abandoned baby boy on the street, Masha climbed into the box he had been dumped in to keep him warm. 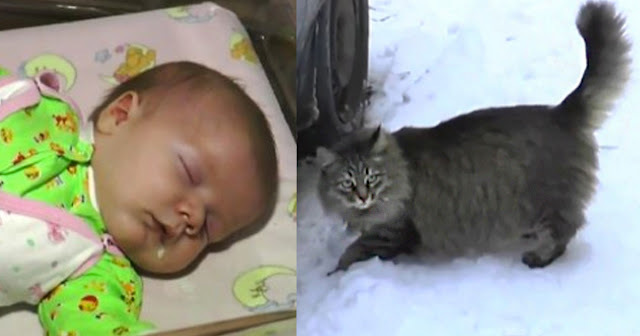 Then, the caring momma cat got help by meowing non-stop to draw attention to the poor 3-month-old baby boy. That’s when Irina Lavrova, a retired woman who lived nearby, had walked out to empty her trash when she heard Masha crying out loudly near the apartment complex’s trashcans. 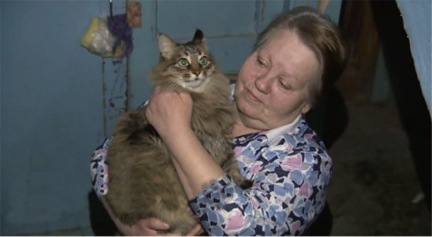 She recognized Masha as a stray cat that she and her neighbors had begun taking care of, and she knew Masha was normally very calm and friendly. “She is very placid and friendly so when I heard her mewing I thought that perhaps she had injured herself because normally she would have come and said hello to me,” Irina said. Concerned for the kitty, Irina went to investigate, and that’s when she spied the kitty peeking at her from an abandoned box in the middle of the cans. She walked closer, and was completely stunned. She could not believe her eyes when she looked inside the box and saw the baby boy lying there with Masha snuggled up next to him! “You can imagine my shock when I saw her lying in a box next to a baby,” exclaimed Irina. “Clearly her mothering instincts had taken over and she wanted to protect the child,” she added. Quickly, Irina called an ambulance, and the infant was taken to hospital where he was given a check-up. Miraculously, doctors said the baby was unharmed. Now local residents are treating Masha like the hero she is.